Congratulations! You’ve probably by now said yes to the dress. If you’re reading this you may already be thinking about some sort of alteration. 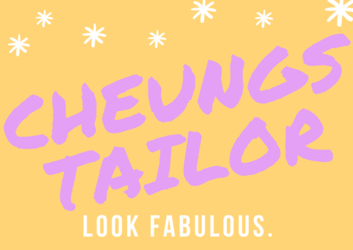 Well at Cheung’s Tailor Alterations we are here to help you think about necessary alterations. Every type of dress below has a different style and a different contour on everyone’s body. Please read below about the different type of dresses you may be interested in. It’s not a complete list but a start of what the different possibilities of alterations are. Whether you have simple alterations or extensive alterations we are highly skilled seamstresses able to help you achieve something surely stunning for the most important day. Regardless of your style, type of dress, or anything custom you’d like to add to your dress we can help you with the following type of Alterations. Wedding dress custom work. Most of our clients who need alterations also have something in mind. May it be adding custom rhinestones, Swarovski crystals, or Redesigning the Wedding Dress we do it all. Bring in your ideas and materials and we can do our best to help you!